When patients arrive at your reception area many times they must wait as physicians are ready to see the patient. Even the most diligent of physicians often finds that they are behind schedule. Patient's normally do not like waiting so a comfortable and attractive area furnished with durable doctor waiting room furniture is a must. Space should be well utilized and many doctor's offices favor tandem and beam seating. Beam seating is where two or more seats are attached to a base that spans the underside of the chairs and has legs on both sides of the seating arrangement. Tandem seating is similar, but often there are legs for each chair. Busy physician offices have a great deal of waiting room traffic. 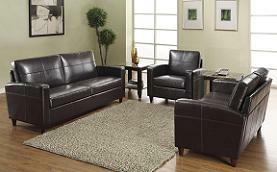 Another popular choice for doctor`s waiting room is a commercial sofa. Both sofas and tandem or beam seating offer a seating solution to keep walkways clear, especially important when patients use walkers or canes. Both seating selections are easy housekeeping of floor areas as there are wide areas for vacuums and mops to maneuver in for high traffic areas to keep you reception area well maintained. Check out our selection of waiting room and reception room chairs to find just the right fit for the size and style of your waiting room. Contact us to learn more about our office chair selection or place your order.